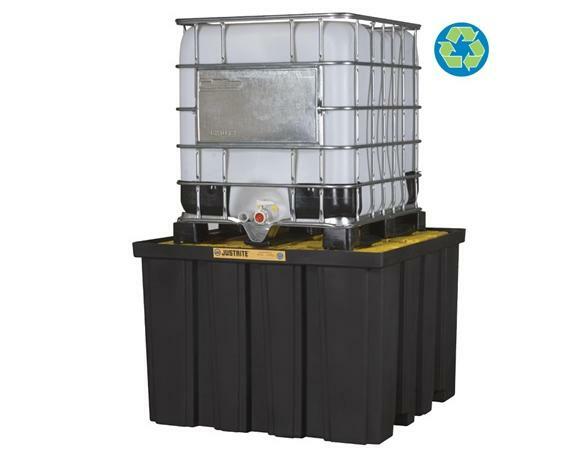 EcoPolyBlend™ IBC Pallet | Shelving, Inc.
EcoPolyBlend™ IBC Pallet is made of 40% recycled, corrosion resistant polyethylene. It provides compliance to environmental regulations and helps meet green initiatives. 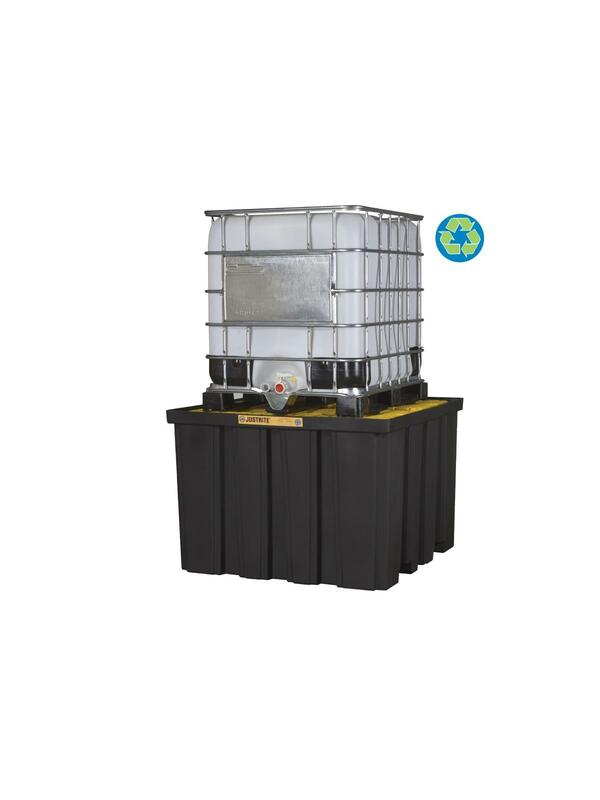 Large 372 gallon leak tight sump reliably contains big spills. Sturdy internal pillar supports remove for easy sump cleaning. Forklift pocket front and back makes it simple to reposition empty pallet. Dirt hiding black body keeps indoor facilities looking clean. Exceeds EPA, SPCC, NFPA1, and the Int'l Fire Code. FOB Shipping Point. 55 x 55 x 37-1/2"